Will Taylor from the AFL Europe website www.afleurope.org reports on the upcoming clash between Norwood and both the Croatian Knights men’s and Croatian Queens women’s teams. Not only does this present as a unique pre-season opportunity for the Redlegs, it is also another great step in the development of Croatian teams – fast-tracking the development of the national women’s team. 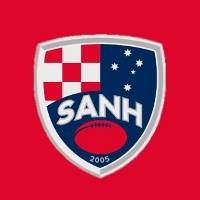 In a first for footy in Europe, South Australian National Football League (SANFL) side the Norwood Football Club will play the Croatian men’s and women’s national teams in a friendly fixtures this weekend in Biograd na Moru. The Redlegs have made their way over to Croatia to start their pre-season training camp that will involve a fixtures against the Croatian Knights and Croatian Queens this Sunday. Coach of the Croatian men’s side Ivan Molnar said the “squad is excited and they are looking forward to the experience”. “It feels great and it makes us very proud,” Ivan said. The connection with Norwood comes from the time Croatian superstar Tomislav Cvetko has spent with the club in Adelaide as both a listed player and a Project/Coaching Clinics assistant. 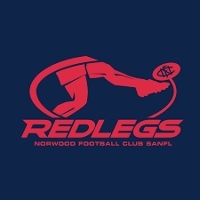 In 2018, the Redlegs had a very successful year finishing the season as runners-up to North Adelaide in a very competitive SANFL Grand Final. As one of the powerhouses of Australian Football in South Australia, Ivan is looking forward to seeing his team learn from these professional athletes. “The squad is feeling excited and we are looking forward to this experience,” Ivan said. Aside from the games, the Croatians are ensuring the hosts are well looked after during their stay in Biograd. It’s their hope that a successful visit from the Redlegs could help encourage other teams to visit Croatia for similar types of camps in the future. “We have also organised some things for them to do beside training like a visit to the national park,” Ivan said. After arriving in Croatia on Monday, the Norwood squad will spend ten days in the nation before returning to Australia at the end of the month. The matches between the Croatians and Norwood FC will take place from 1:30pm local time this Sunday.